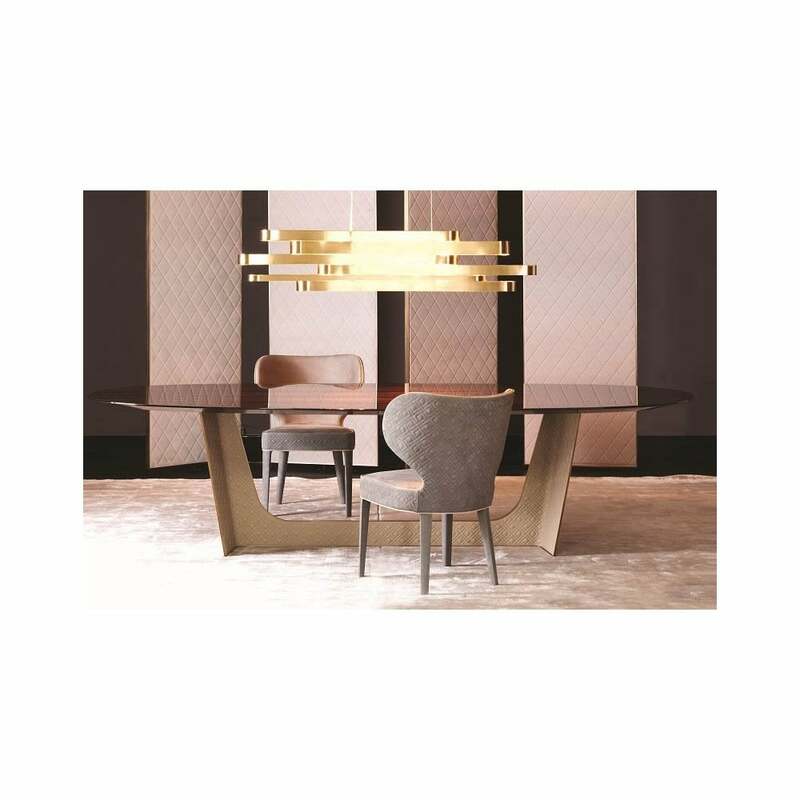 The Wings Dining Table from the Rugiano collection features winged legs that hold a striking oval table top. The tapered legs and base are upholstered in the finest Pelle leather. Choose from a smooth or textured leather design to suit your soft furnishing and dining room furniture. Sophisticated hues of stone, grey and mink complement the exquisite materials used for the oval table top. The oval shape can be crafted from glass, leather, ebony wood, marble or decorated with varnish and paint. Style with the Aida Chair for a luxurious scheme that exudes Italian glamour. Available in two bespoke sizes, make an enquiry for more information.